A rotary table will vary in diameter depending what you require to hold. Generally rotary tables can rotate thru. 360’ at 90:1 ratio. 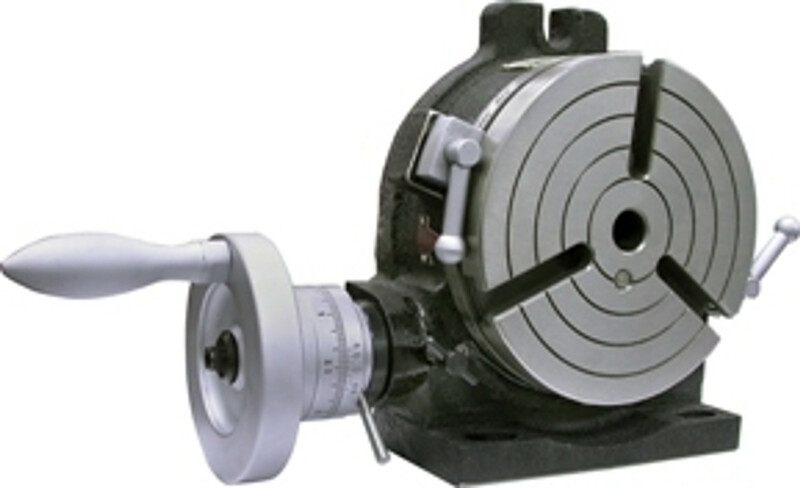 Using a manual rotary table, winding a handle around drives the worm gear to index the rotary table and can be clamped at designated position. Most rotary tables have a Morse Taper thru the centre spindle; also a 3 or 4 jaw chuck can be mounted to the rotary table for work holding.